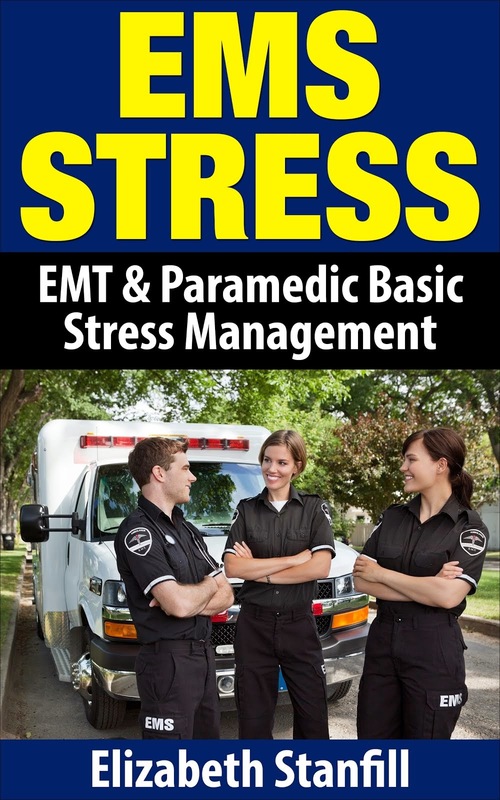 Hello, I am Elizabeth Stanfill and I have been teaching stress management to the Emergency Personnel for nearly 16 years, and to the general population for about a dozen years. What I do best is I show you, as an individual, how to destress yourself. What this means is, I share ways that you can discover your particular stressful habits that are limiting your happiness and joy, and show you actions and activities that will create successful practices, so that you may create explosive jumps in your personal and professional performance. I have discovered powerful tools that let me assist thousands of people to destress themselves. What I have discovered are basically two simple secrets to destressing yourself. First, the simple part of destressing yourself is taking responsibility for your thoughts, feelings, and actions. Seriously, this is the simple part. Second, the real secret to destressing yourself, is the process of evolving your mind from habitual thoughts, feelings, and actions of doubt, fear, and worry to habitual thoughts, feelings, and actions of certainty, confidence, hope, and faith in yourself and others. I call this destressing yourself and it is the Big Challenge and Enigma to successful lives, personally and professionally. What this discovery does for you is life changing. With my step by step guidance you can go from Severe Stress to Extreme Success. This includes finding out what beliefs are holding you back to finding exactly what you want out of life. Getting started is so easy. I have created a program of free monthly classes, which you can access through our free weekly newsletter. When you are signed up for the free weekly newsletter, you get the phone numbers and access codes, to all of the teleclasses, every Monday. Although we have had several classes already, for a small fee, you can still access them through our store. Every month there are free live teleclasses. You can access all the teleclasses for free, for now, and this may be all you need. However, I have included three free audios inside our store. You may be asking why I am doing this or why I am offering you all this for free? Simple, it is a bribe, an ethical bribe that allows me to show you how powerfully and quickly you can destress yourself. And you will be tempted to join me even more. I believe the enormous value you will receive will entice you to seek more advise, input, and specific tactics to increasing the process of success easily and efficiently. I have helped thousands of people destress themselves within the first day. If living a more successful and less stressful life sounds good you must get started right away. Here is what you need to do right now to get your free access to weekly newsletters and teleclasses, sign up here with your name and email in the bluish opt in box. This offer will be free for a limited time only! If you are ready, right now, to learn the step by step process on how to destress yourself you have several options. Option 1 - Purchase the Destress Yourself Classes Right Here Right Now. This option allows you to purchase the four part teleclass, one class at a time. This is done for your economic and time convenience. Option 2- Contact me to work one on one ~ elizabeth@destressyourself.com We have Mentoring and E-Mentoring Programs that are inexpensive and personally suited to you. Option 3- Destress Yourself Presentation. If you are interested in employing Elizabeth Stanfill, for a speaking engagement on the subjects of Critical Incident Stress Management, Overcoming Burnout, Advanced Stress Management, or Basic Stress Management, in Southern or Central California, please contact us at (661)877-7800 or email admin@destressyourself.com.